Bye, bye week three. The semester is in full effect, and I am trying to remain as relaxed as possible. The highlight of my week was when two of my professors canceled class last week. It wasn’t a good thing they became ill, but it allowed me to get back on my feet and catch up on schoolwork. So, for that I was grateful! Week three was quite exciting, and I continue to crawl out of my shell. I began my new job in the Office of Student Publications for UHCL’s The Signal as a Social Media Manager! I was nervous at first, but I know this opportunity will benefit me in the long run since I am a communication major. I am trying to remain as involved as possible and keeping up with UHCL’s events. Be sure to follow me on twitter @UHCLBlogger to see what’s going on around campus. I wish all my peers would want to volunteer as much as I do, but I’m glad I have peers in the Hawk Leadership Institute that want to make a difference. It’s great giving back to the environment, but it is even better doing it with those who share the same vision as you do. I’m looking forward to completing more hours of service with HLI. I’ve been stuck in a dilemma. I’ve been trying to live a more active life style by eating right and moving more. This past week I have begun meal prepping in hopes of staying on track, and luckily it has worked well. I fell off track a few times, but I acknowledged my accomplishments instead of my mishaps. I will keep you all posted on my weight loss journey, and I have another blog series coming up on UHCL’s The Signal called Freshman-Twenty Five. It’s time to get serious! Handel’s Water Music at 8 p.m. in the Bayou Theater on Feb. 12- At the Door: $15 General Admission and $10 with UHCL ID. Try buying pre-sale tickets! Chinese New Year from 7:00-9:30 p.m. in the Bayou Theatre on Feb. 14- Call Xiaoman Zhang, Web Developer @ 281-283-2943 for tickets! $5-7 tickets. 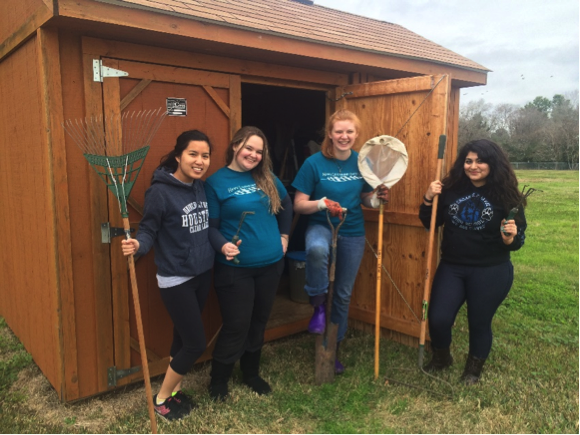 This entry was posted in UHCL Freshman Experience and tagged #EnvironmentalInstituteOfHouston, #NewJob, #OfficeOfStudentPublications, #SocialMediaManager, #TheSignal, #UpcomingEventsAtUHCL, #Volunteering, UHCL on February 9, 2015 by TheWingspan. So I’ve been coming to many realizations within myself, and I’ve decided to switch majors from psychology to communications. I already filled out the paper work, and I believe this major is more suitable for me. I have a great feeling about this. I have an appointment with Career Services on Oct. 22, and I’m really looking forward to it. As a future leader, I can admit my weakness is communication. I’m on the right track, but I need to work on being more social among my peers. I have a lot to say, I just have to figure out how to put it in words. I know UHCL will give me all the tools I need to succeed. I’m proud to say I volunteered this week at the Environmental Institute of Houston on campus. On Oct. 14 and 15, my friend Makenzie and I dedicated a few hours of our time to help out. Wendy Reistle and Sheila Brown were kind enough to let us volunteer and told us the people who tend to volunteer are older, retired individuals. I was glad I could help, they have a lot of work that needs to be done. We weeded and trimmed the trees and plants. We instantly saw results. I was grateful the EIH staff was thankful to have us, and they reminded us constantly how much we were appreciated. If any of you want to volunteer, go ahead and visit the office There’s plenty to do! In celebration of Spirit Week, I volunteered to be part of UHCL’s Beautification Project. 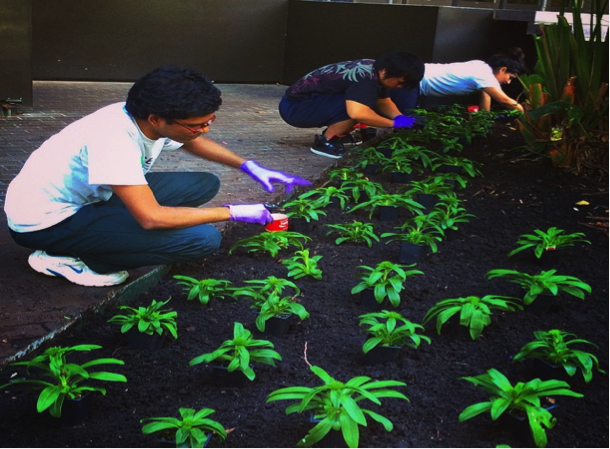 We planted over 500 plants, and the staff was extremely grateful. It was great being a part of something bigger than myself. It gave me a sense of purpose. I’m looking forward to volunteering more often. It was only for an hour and a half, but we got so much done in a short amount of time. I was glad to have fellow freshmen out there as well. Be sure to check out our new flowerbeds at the Bayou Building entrance by the visitor’s parking lot. Every time I meet with my Success Group for the Hawk Leadership Institute, I feel I’ve come one step closer to my goals. My success coach, Jayme Tiemann, is a great mentor whether she realizes it or not. I love her energy, and I can easily carry on a conversation with her. I know I can learn a lot from her. Jennifer Clark, assistant director of Student Life, joined our meeting today with hopes of staying connected to the HLI members. I appreciate Jenn because you can sense how much she wants us to grow, and she’s made it her responsibility to create future leaders. I can look up to Jenn because that’s exactly what I want to do. I love being around people who care and want to make a change. I love UHCL! 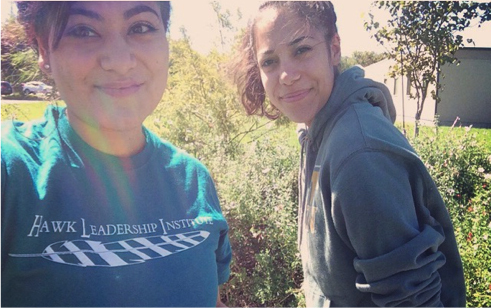 This entry was posted in UHCL Freshman Experience and tagged #CareerServices, #Communications, #EnvironmentalInstituteOfHouston, #HawkLeadershipInstitute, #IheartUHCL, #SpiritWeek, #UHCLbeautificationProject, UHCL on October 20, 2014 by TheWingspan. Meet Natalia and Eric - they are your freshmen bloggers! 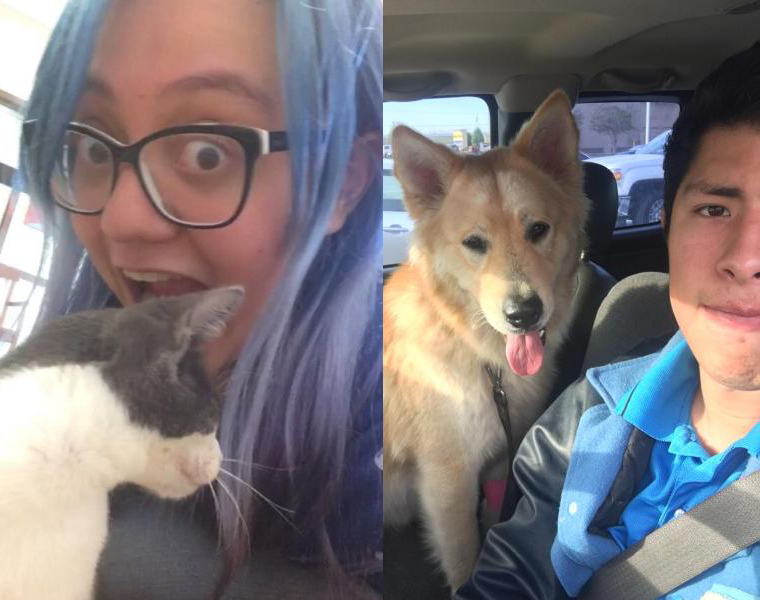 As they are blogging their experience, join them in the journey!